Brook Crompton is a leading provider of energy efficient electric motors, known for delivering quality and innovation for over a century. 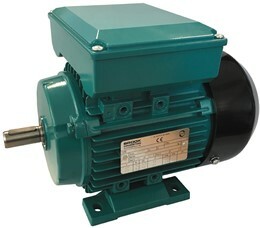 Driven by technology and innovation, Brook Crompton has a comprehensive range of low, medium & high voltage motors for safe & hazardous duty designed to provide cost effective, energy-saving solutions across a range of industrial processes and our drives packages can provide assured efficiency and reliability in a user-friendly variable speed drive system. A high quality industrial standard range of electric motors with a Brook Crompton specification suitable for most industrial applications. 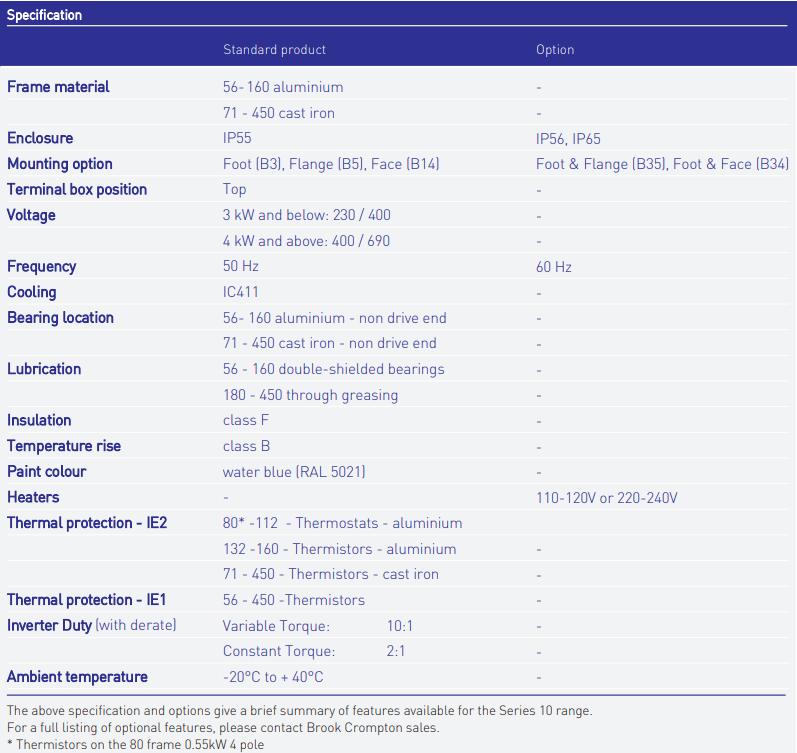 Series 10 aluminium range The Brook Crompton Series 10 aluminium range is a high quality standard range of electric motors with a specification suitable for most industrial applications. It covers outputs from 0.06kW up to 18.5kW in frame sizes 56 to 160. 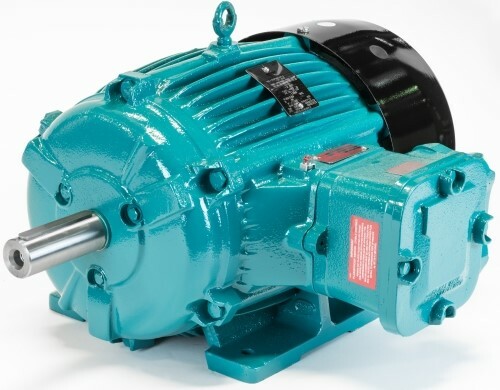 The cast iron range of motors have outputs from 0.09kW to 900kW in frame sizes B-DF71M to BU-DF450, in either 2,4,6 or 8 pole speeds. applications. 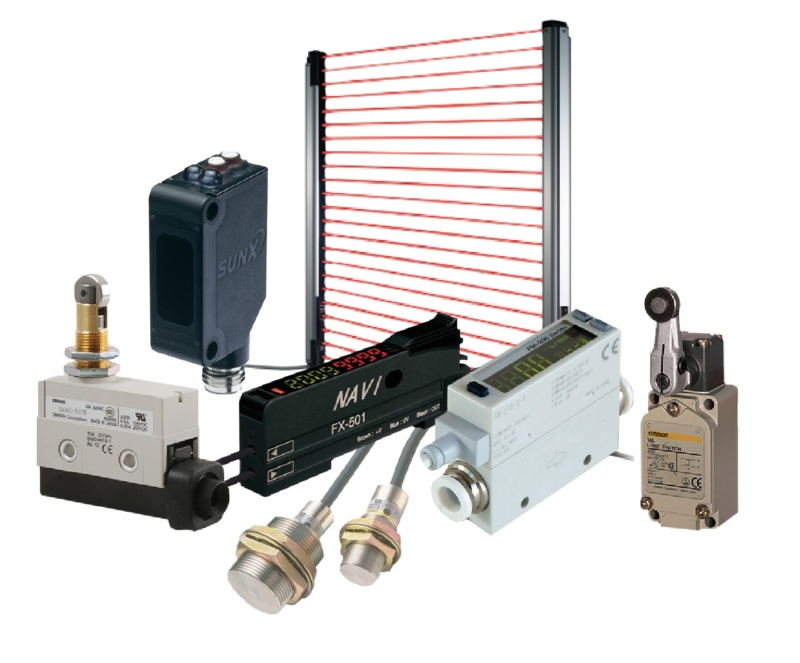 It covers outputs from 0.09kW up to 900kW in frame sizes 80 to 450. MEPS Australia / New Zealand available on request. 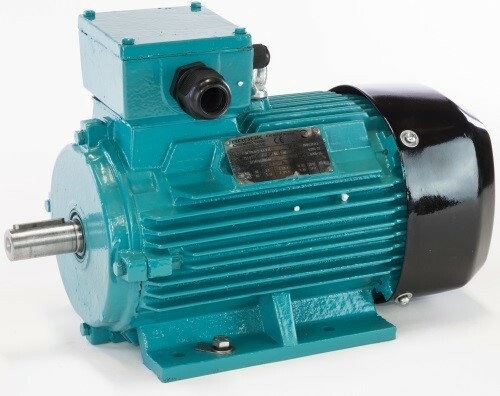 A high quality industrial standard range of electric motors with a Brook Crompton specification suitable for most industrial applications. The single phase capacitor start / capacitor run aluminium motors have outputs from 0.25kW to 3.0kW in frame sizes 10-TDA71 to 10-TDA100. 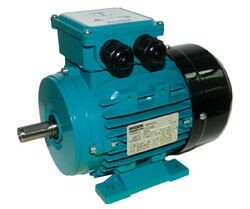 The Brook Crompton Series 10 single-phase range is an aluminium, high quality standard range of electric motors. It covers outputs from 0.25kW up to 3.0kW in frame sizes 71 to 100. Available as capacitor start & capacitor run.